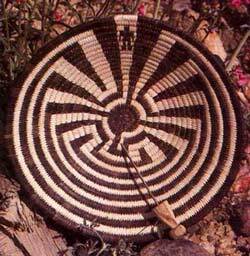 Since I was a young girl I heard about a mysterious sacred cave in the Baboquivari Mountains on the Tohono O’Odham Reservation southwest of Tucson, AZ. I have always been fascinated by the sharp contrast of the Baboquivari Mountain Range against the sky. Rising high above the desert Babo Peak has been written about for centuries as a beacon for those who travel through the valleys. Unfamiliar with the permits required for hiking on the reservation, and not knowing the trails, I searched and found an archaeological tour group heading to I’itoi Cave. I was thrilled to finally climb that famous peak. The archaeologist and guide is Al Dart from Old Pueblo Archaeology . The tour was so well organized and we felt like we were hiking with friends. His knowledge and passion for sharing information exceeded our expectations. Highly recommended for a first look at any area one is interested in exploring! Traveling by SUV for12 miles on an un-maintained road, our group arrived at the Baboquivari Campground Area to find campers taking down a tee pee from the previous night’s birthday celebration. Al was quick to point out that the tee pee is not part of the Tohono O’Odham culture but had been used for this particular ceremony and overnight stay. He went on to describe the history of the area in great detail. Even at this early stage of the tour we could tell this would be a wonderful experience. The campground area is beautiful and worth exploring. Above us and surrounding us like a giant hug stood Babo Peak. The hike to I’itoi Cave is a little over mile on a trail rated difficult. Fortunately our guide made frequent stops along the trek pointing out both man made and natural wonders along the way. He included reading excerpts of early European explorers during our rest stops.The views are spectacular and unspoiled from this vista. What a perfect day to hike. The cave has a tiny triangular entrance behind an outcropping of rock. It’s a wonder anyone found it at all. It is said I’itoi still lives there as protector of the Tohono O’Odham people. Iitoi is sometimes referred to as “Older Brother”. Some traditions have him entering the cave through a labyrinth and others refer to him as the man in the maze. We were met by the caretaker/shaman of the Baboquivari Wilderness Area who was waiting by the entrance. He is said to be over 60 and makes the climb three times a week. He told us stories about I’itoi and Eagle Man who had been sent to earth by the creator. Both of them were tasked with making people so they each set out to make people of different colors. Eagle Man’s people did not survive but I’itoi’s purple people were strong and became the Tohono O’Odham. When someone asks him the best way to enter/exit the cave, he laughed and said you can go in however you want, but “there’s only one way out, head first, like being born”. We took turns, 6 at a time went in. G and I waited our turn and watched as each person came out of the cave differently… and yep, we all looked just like a birth. Everyone re-entered the world differently. Some needed assistance to which helpers joked about needing forceps. Other than the occasional awkward exit from the cave, it was quiet and peaceful, everyone speaking softly. The shaman/caretaker was asked why he let non natives enter the cave. More specifically, why he would let Catholic or Christian symbols be placed as offerings. His answer was beautiful. He said he had thought about it many times, and had meditated about it for a long time here in the cave. He said he believes that there is one god, different to the different cultures, but still one. He said their story is similar to a Christian story. They share a flood story, and I’itoi died and rose again. As long as people are respectful, he wants to share this sacred cave with the anyone seeking it’s peace. Finally our turn came. We aren’t allowed to take pictures inside the cave and I can see why. Whether or not one believes in I’itoi as a deity or not, there is a unique reverence entering the darkness. A shaft of light is just enough to see the uneven walls of the cave and shines deep toward the sloping back wall. What lies inside are the prayers, hopes and dreams of those who had come before. I noticed a faint scent of incense as I knelt down to add two little purple flowers that I had brought from home. I gave them my own meaning as I placed them in the fine dust on the floor so they would just catch the corner of the sunbeam. My own experience was energizing kneeling there on the soft dirt. Following the sun I exited out the triangle hole and slid back to the real world. Refreshed we all headed down the mountain to the next stop….Petroglyphs. There is an outcropping of rock on the valley floor peppered with petroglyphs Protected by an overhang they have been here for centuries. Some of the red pictographs are dated at over 5,000 years old. The whiter carved petroglyphs more modern, around 500 years and have Hohokam influence. Some areas had holes used for grinding. A new tradition to toss coins into them as a prediction of future events. As the sun faded to a glorious Arizona sunset it was time to say goodbye. Renewed and tired we headed back to Tucson holding the Shaman’s words in our heart, we are all one people. Amazing pics and fascinating landscapes. So jealous right now here in damp dreary Britain. Good inspiration though for me to get out with dog and blog it all….thanks.